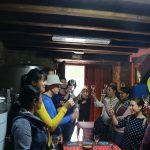 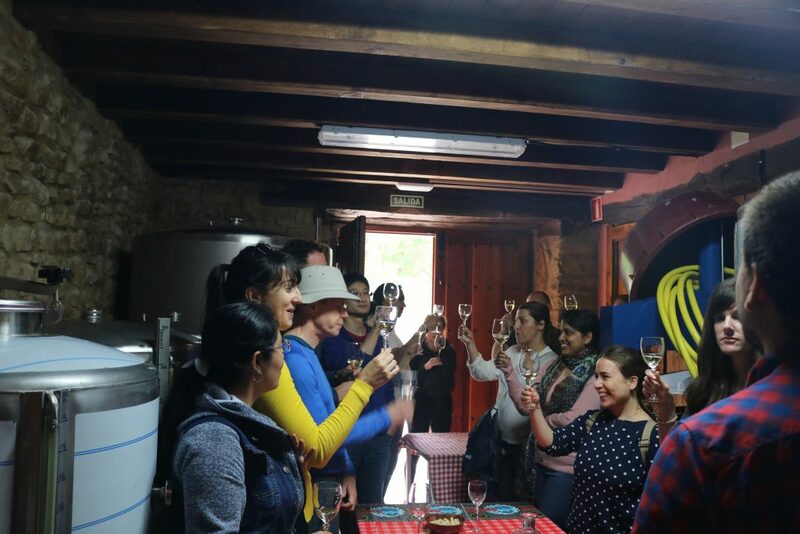 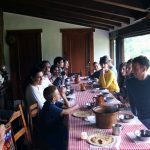 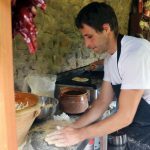 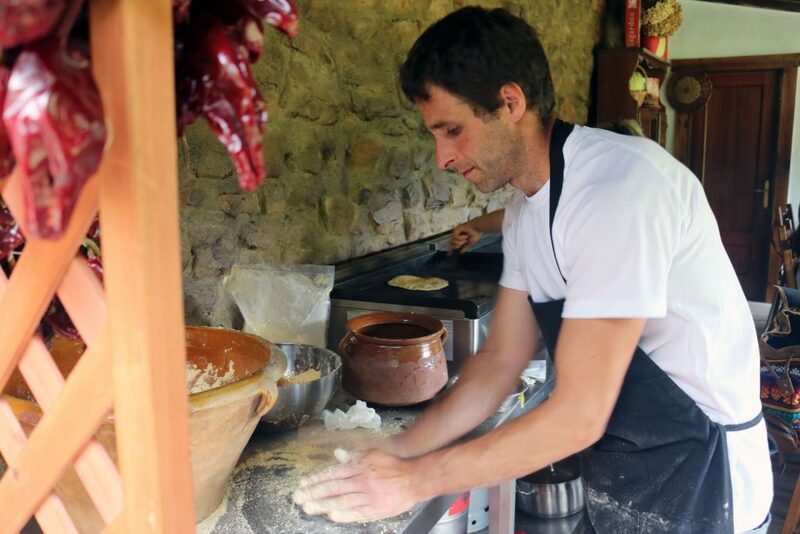 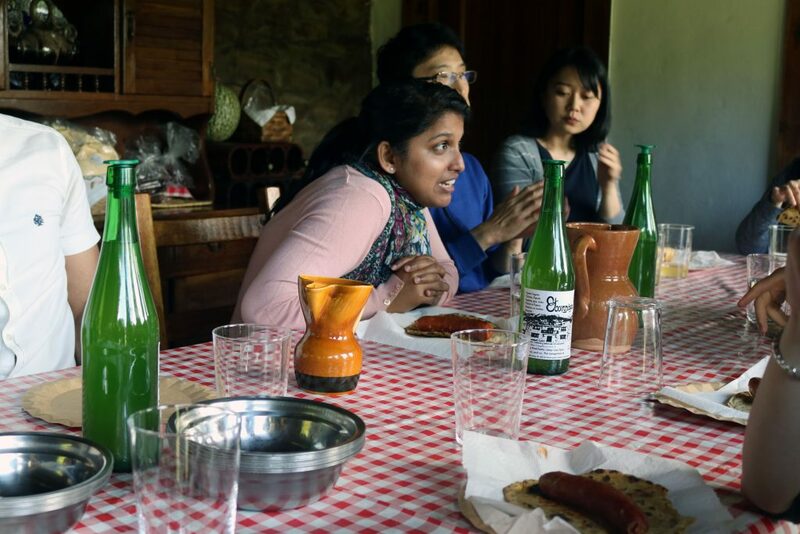 The participants of the sociocultural event enjoyed a cider and txakoli (Basque white wine) tasting session and learned how to make “talo” (traditional Basque corn bread) in the Zornotza farmstead which dates from the XVIII century. 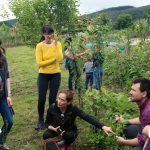 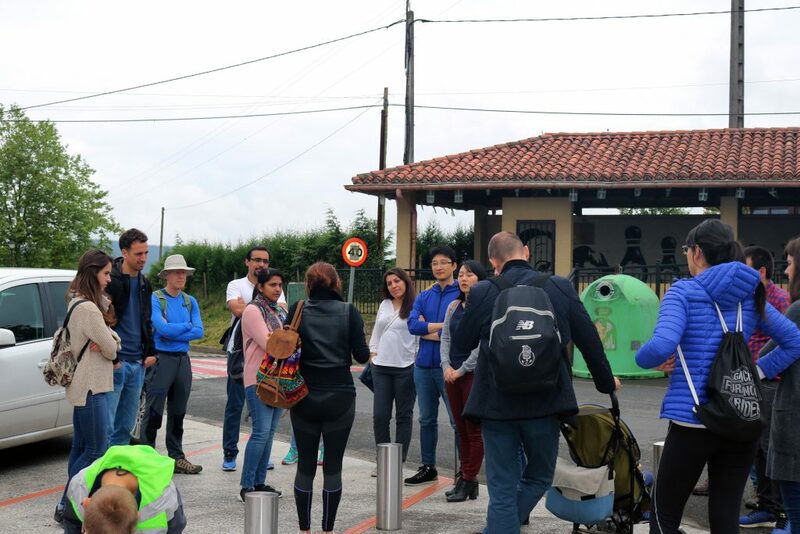 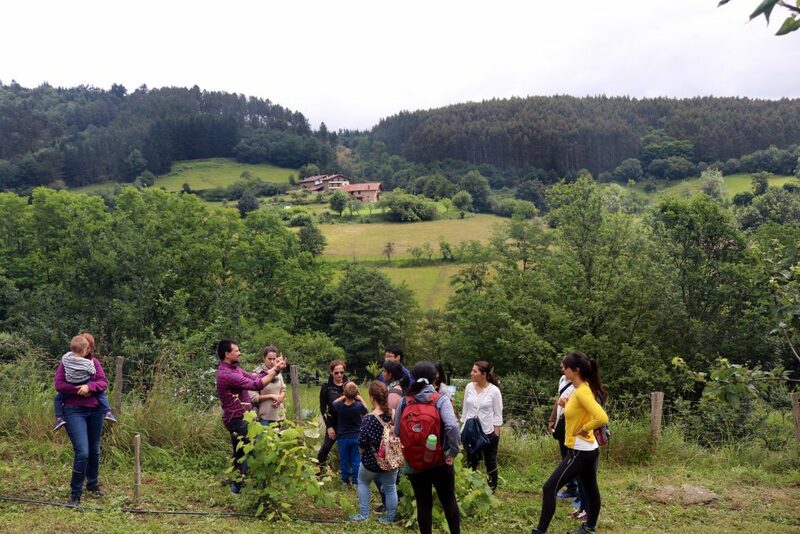 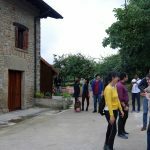 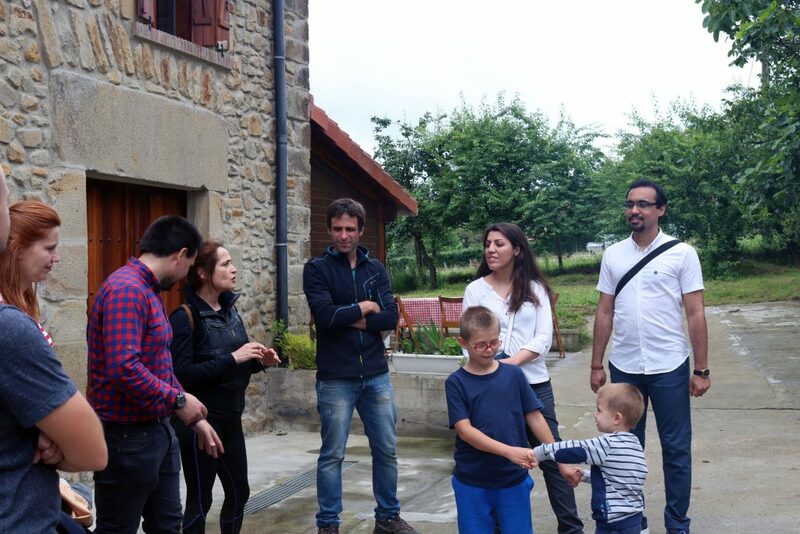 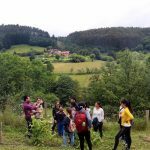 On the 16th June a group of fifteen highly qualified international professionals visited the Etxerriaga farmstead which is located in the Boroa neighbourhood of Amorebieta. 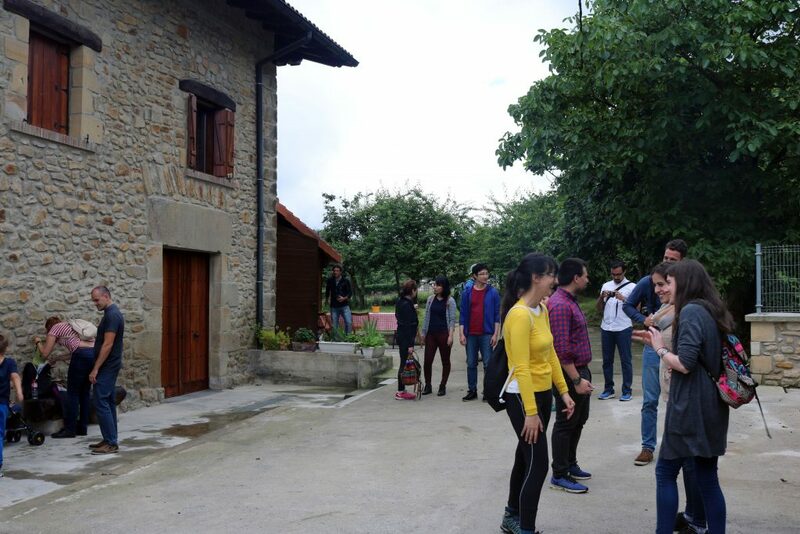 All of these professionals, who come from countries as diverse as Bangladesh, India, Mexico, Argentina, Japan, Poland as well as other parts of the Iberian Peninsula such as Almeria and Galicia, are currently developing their professional careers at organizations such as the University of Deusto, UPV/EHU University, CIC bioGUNE, BBDA, NanoBioCel, BCam, Idom and Ikerbasque. 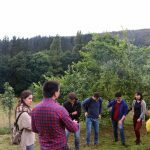 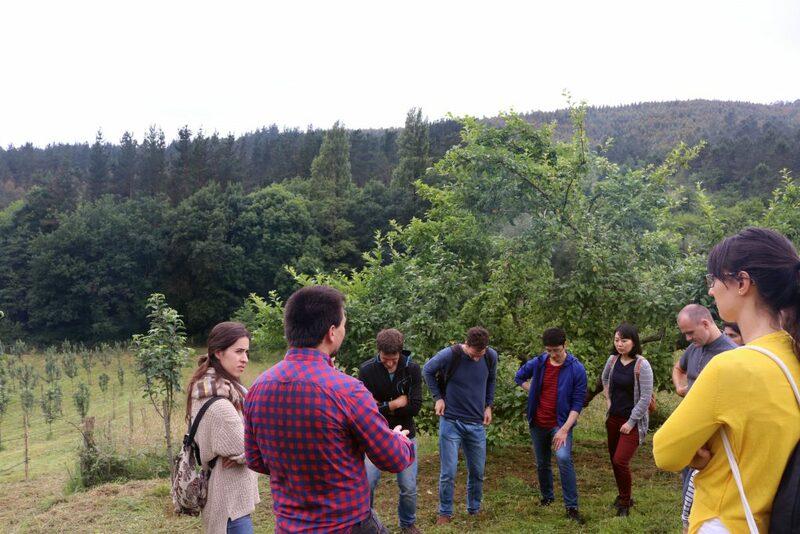 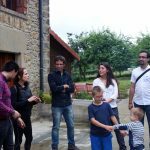 After a stroll around the buildings of the farming hamlet, the Bilboa family received the visitors on the lands of the Etxerriaga farm where they were able to observe the fruit trees used for the production of cider and txakoli. 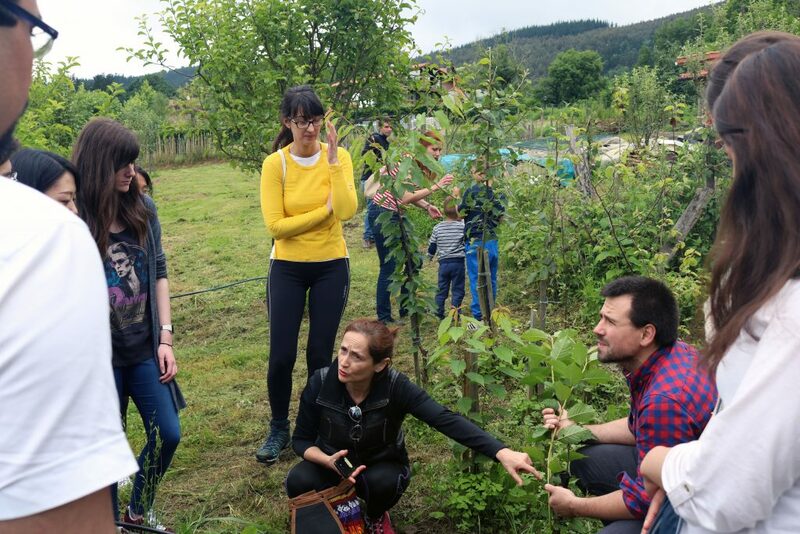 They also had the opportunity to visit the vegetable plots where crops such as beans, corn, peppers and others are cultivated in a sustainable manner. 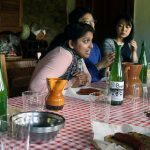 They then enjoyed a cider and txakoli-tasting session in the wine cellar of the installations. 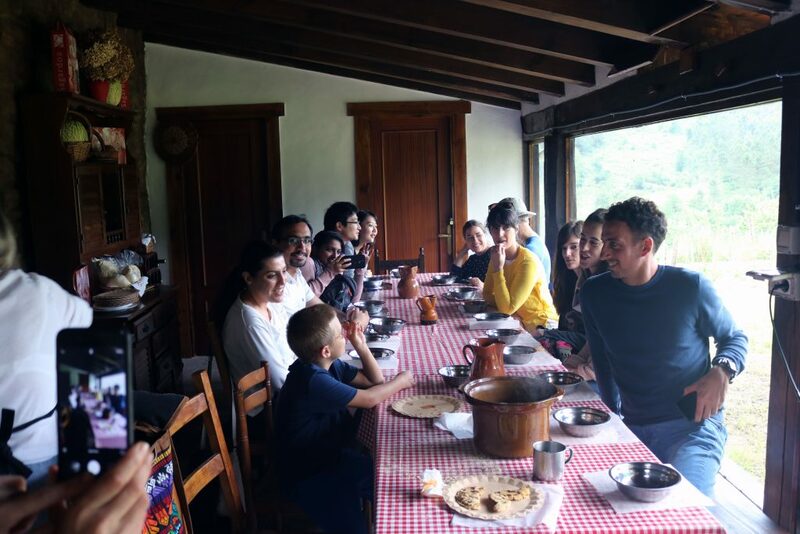 At the end of the aforementioned event, they took part in a workshop where they learned how to make “talo” using corn flour produced on the farm, which they then sampled with chorizo (spicy sausage), morcilla (black pudding), cheese and chocolate. 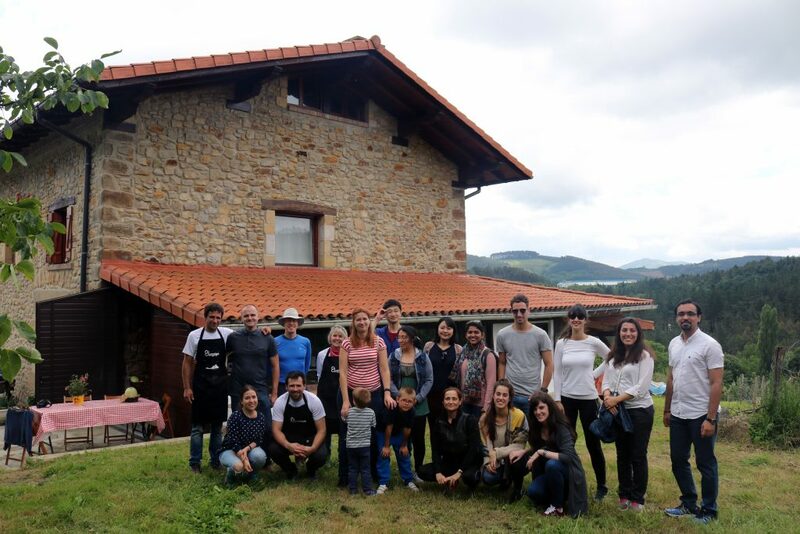 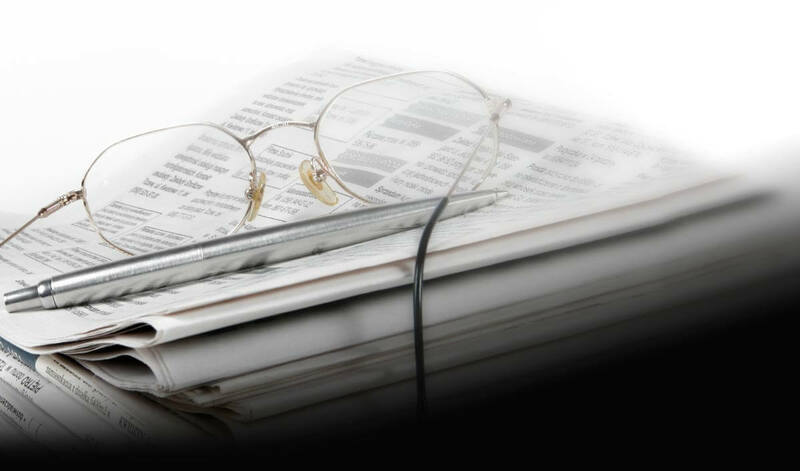 This type of activity organised by Bizkaia Talent within the framework of Relocation and the Be Basque Dual Career Centre fosters and promotes the building of professional and interpersonal relationships and provides assistance in terms of the integration of foreign professionals in Basque society.